EU luxury sanctions against Syria - is the best you can do? On April 23, the European Union announced that it would ban the export of luxury goods to Syria as part of new sanctions to punish the regime's continued attacks on its citizens. Are you serious? This is the EU response to the continued Syrian regime's assaults on its own people? This is the best the world can do - cut off Asma al-Asad's access to European fashion and high-end luxury items? Even members of the Syrian opposition find it ridiculous. If it wasn't so serious, it would be funny. These photographs were taken at a demonstration in the city of Kafr Nabal on April 24, a day after the luxury goods sanctions were imposed. Kafr Nabal is located in northern Syria between Hamah and Aleppo (Halab); the area has seen a lot of violence over the last year. 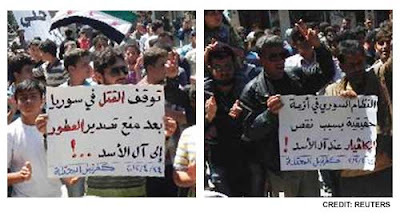 The signs both carry the date of 4/24/2012 and the location as "Occupied Kafr Nabal." The killing in Syria has stopped after the prohibition on exporting perfume to the al-Asad family. The Syrian regime is in a true crisis because of the decrease in caviar for the al-Asad family. It is comical to read some of the comments that accompanied the cutoff of caviar and perfume (yes, I am being sarcastic). The EU ministers stated, "The EU will continue its policy of imposing additional measures targeting the regime..as long as repression continues." British Foreign Secretary William Hague added, "It is very important for us to keep up that pressure, step up that pressure. 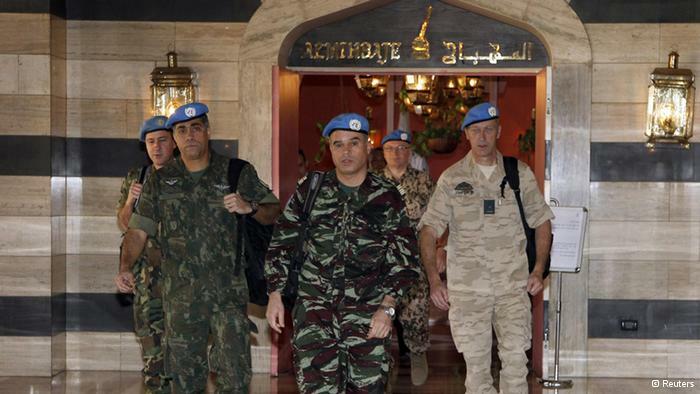 They are not in full compliance of the ceasefire requirements of the Annan plan." You can't make this up. Do they honestly believe that halting exports of European luxury goods will change the behavior of regime of Bashar al-Asad? The Syrian president is the son of one of the most repressive dictators in modern Middle East history, and now he is a tyrant in his own right - as many as 10,000 of his own citizens have died in the last year. The words of EU foreign policy chief Catherine Ashton: "We call on the government to withdraw troops from towns and cities." Add to that the words of German Minister of State Michael Link, "The luxury ban constitutes a loss of prestige for leading circles of the regime." Yeah, the loss of prestige and the lack of perfume and caviar is going to make the regime alter its behavior. Reality check. Bashar al-Asad is the president of a country; his wife is British born and educated. Asma al-Asad has a degree computer science and French literature, and worked as an investment banker, and holds a British passport. I would think she is smart enough to acquire whatever she wants from wherever she wants. These sanctions are ludicrous. This farcical sanction protocol, combined with the deployment of a handful of unarmed United Nations observers with no mandate or authority. They are being played - quite effectively - by the Syrian government. The French are demanding that the numbers of observers be increased to 300 within the next two weeks. That's all well and good, but for them to be effective, they must have the cooperation of the Syrian government. That means real cooperation, not the lip service at which the Syrians excel. I do not believe the Syrians have any interest in facilitating the operations of yet another United Nations observer group. When I was the Air Attache at the American embassy in Damascus, I had to make some arrangements that were part of a UN agreement - the level of cooperation was minimum at best. If the United Nations, the European Union and yes, the United States, are serious about changing the behavior of the Syrian regime, it will require more than sending the perennially ineffective Kofi Annan to Damascus to negotiate a meaningless agreement, and more than weak sanctions. Unfortunately, I am beginning to think that it is time to talk about a no-fly/no-drive zone in parts of the country. The recent scandal involving members of the U.S. Secret Service in Colombia brings back memories of the only dealings I have ever had with the agency charged with the protection of the President. In late 1994, I was the Air Attache to the U.S. Embassy in Damascus, Syria. 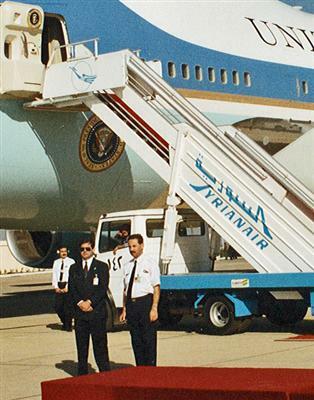 Part of the training for all air attaches is how to handle a presidential visit - the Air Attache is responsible for the arrangements for the presidential aircraft, in most cases a U.S. Air Force VC-25, a modified ultra-VIP version of the Boeing 747. I was excused from this particular training because, as the officer in charge of the presidential visit training asked, "What are the chances that a U.S. president is going to visit Syria?" In his defense, I had to agree with him. I was of the opinion that no sitting American president would conduct a visit to Syria thus lending legitimacy to country closely allied with Iran and Lebanese Hizballah, and who certainly had U.S. blood on its hands. In mid-October 1994, the embassy received a cable from State Department that President Bill Clinton was planning to make a visit to Damascus to meet with Syrian President Hafiz al-Asad. The was going to be a burden for the small embassy staff, especially as the Secret Service, White House Communications Agency and the Presidential Pilot's Office (PPO), the Air Force pilots who fly Air Force One* all sent large advance teams to make security, communications and transportation arrangements for the visit. My first introduction to the visit was surprisingly not the PPO as I had assumed - that would come later. Almost immediately after the classified notification of the impending announcement of the visit, I received a message from U.S. Transportation Command headquarters at Scott AFB, Illinois, requesting me (as Air Attache) to secure diplomatic flight clearances for four C-5A Galaxy transport aircraft carrying hundreds of tons of cargo (mostly communications gear), a fleet of Presidential vehicles and Secret Service SUVs, and a U.S. Marine Corps VH-60N White Hawk presidential helicopter (plus a squad of Marines to man it). There were also requests for clearances for a variety of smaller aircraft (C-130 tactical transports and Gulfstream IV business jets). Thankfully the message also included a fund cite to pay for all the cargo handling - aircraft unloaders, trucks and storage hangars. I waited as the first two aircraft were supposed to land. They did not show up. I had to drive back to the embassy and call Scott AFB. Once back in my office, I spoke to a colonel at Scott who imperiously informed me that if I had bothered to check the Air Mobility Command online database (I think he called it the "am-cod"), I would have known that the aircraft had been delayed at the President's last stop and that I would have rescheduled the trucks awaiting the two transports. Silly me. I explained, as politely as I could, that I was at the U.S. Embassy in Damascus, Syria - we barely had working telephones and on good days maybe a fax machine, let alone any kind of online access. To my pleasant surprise, he laughed and said he understood and committed to sending actual message traffic in the future. My next dealings were with two Secret Service officers and two Air Force majors from the PPO. Overall, these four individuals were highly arrogant and as far as I was concerned, barely competent to deal with their Syrian counterparts at the Damascus international airport. Their constant use of the phrase "leader of the free world" soon began to wear thin. Finally, I reminded them that although they lived in Washington, I, on the other hand, lived in Syria, and at last check, Syria was not a part of "the free world." 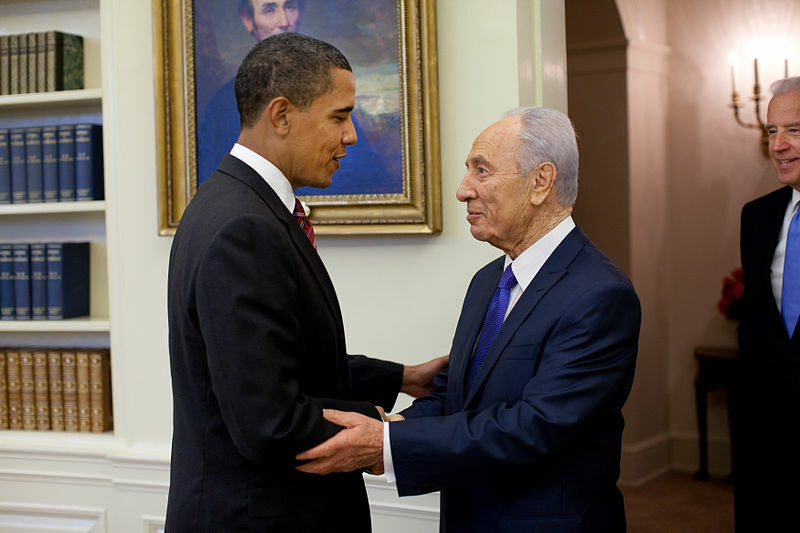 The visit happened - it was uneventful, and as far as our foreign policy objectives go, a failure. See an article I wrote years ago about the visit, The Arrogance of Power - A Presidential Visit. After the President departed, I spent days reversing the previous process, this time dispatching the same aircraft to the next destination. I had to deal with Syrianair (the national airline) to cover the enormous bills we had run up at the airport. While I was settling the accounts, I was summoned by the chief of airport security, a Syrian Air Force brigadier (Damascus international airport is also a Syrian air base). I went to his office, a place I had visited many times in my efforts to develop a relationship with Brigadier Wafiq al-Halabi. After all, he could provide useful information or generally be helpful if he wished. Brigadier Wafiq greeted me with the usual Arabic pronunciation of Rick as "RIKI," shook his head, motioned me to a chair, opened one of his desk drawers and took out a bottle of Johnny Walker Black scotch and two glasses. He poured each of us a rather large drink, leaned back and began to recount his impressions of the visit. Although Wafiq could speak fair English, he preferred that we speak Arabic - after all, it was his office, his airport and his country. I was struck by his final remarks. He told me that he and his staff felt belittled by the PPO representatives and the Secret Service agents. His words were to the effect of, "We know we are a third world country - you did not need to keep reminding us of it. You and I, Riki, are officers of our respective air forces, and you have always treated me with respect as a fellow officer and as a brigadier. Your colleagues did not." Normally, Wafiq would end the conversation by saying, ila l-liqah, riki (until our next meeting, Rick). On this occassion, he chose to conclude his remarks in English with a curt, "Good night, Major." Big difference. Over two years of painstakingly slow work trying to develop good working relationships with the airport and air force officers were all for naught, thanks to the arrogance of power displayed by two U.S. Secret Service agents and two U.S. Air Force officers. * Despite popular usage, "Air Force One" is not an aircraft, but rather the radio call sign of any U.S. Air Force aircraft carrying the President of the United States. When the President is aboard a U.S. Marine Corps helicopter, its call sign is "Marine One." Although not a Middle East issue, this is my memoir of a five-month mission to hunt down and detain war criminals in Bosnia-Herzegovina. It is available in Kindle format for the next 90 days, then a variety of electronic formats - or now as a PDF file. Click here for more. Of course, there were protests against the move, especially from the Islamists, claiming that the commission is not impartial and sympathizes with the former Mubarak government. There may be some truth to this - the commission was appointed by the Supreme Council of the Armed Forces (SCAF), the true arbiters of power in Egypt after the removal of Husni Mubarak. On the other hand, if they were truly holdovers, they likely would not have disqualified General Sulayman. 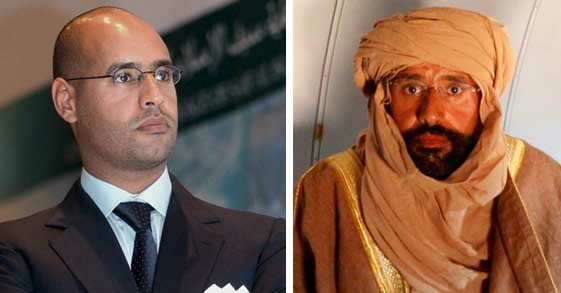 More important are the candidates the commission did not disqualify - one of these men will almost certainly be the next president of arguably the most important country in the Arab world. Given the disqualifications, the new front runners are former Arab League chief 'Amru Musa (commonly rendered as Amr Moussa), former Muslim Brotherhood member and now moderate Islamist 'Abd al-Muna'im Abu al-Fatuh (commonly rendered as Abdel Moneim Aboul Fotouh) and former Prime Minister and commander of the Egyptian Air Force retired Air Marshal Ahmad Muhammad Shafiq (commonly rendered as Ahmed Shafik). A few words on each candidate. 'Amru Musa (75) is well known throughout the Middle East, having served as Secretary General of the Arab League from 2001 to 2011, and as Egypt's Minister of Foreign Affairs from 1991 to 2001. Prior to that, he was the Egyptian ambassador to the United Nations, India, and Switzerland. Musa is respected in the region as well as in the West. Despite taking some unpopular positions, most Western countries, including the United States, would not object to a Musa presidency in Egypt. 'Abd al-Muna'im Abu al-Fatuh (60) is a medical doctor and described as a moderate Islamist. He is a former long-time member of the Muslim Brotherhood, but broke ties with them last year to run for president. He was imprisoned for five years for his Muslim Brotherhood association. Ahmad Muhammad Shafiq (70) is a retired Air Marshal who commanded the Egyptian air force and then served as minister of civil aviation until last year. During the revolution in 2011, he was appointed as prime minister for a period of two months. He is regarded by many Egyptians as a holdover of the Mubarak government. So, these are the three candidates that have been qualified by the SCAF-appointed council. A respected statesman, a former member of the Muslim Brotherhood and a retired military officer of the Mubarak government. It would appear to me that the ruling military officers have shaped the upcoming election quite effectively. Most Egyptians are wary of anyone associated closely with the former government, while others are wary of an avowed, albeit moderate, Islamist. That leaves 'Amru Musa. 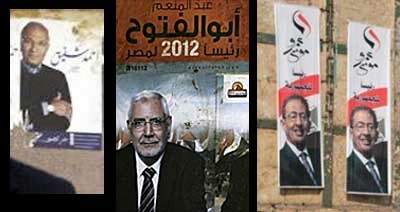 Unless something changes - and in Egypt that is not only possible but likely - Musa will be the next president of Egypt. Given the state of the situation in the country, that's probably as good as its going to get. * I have transliterated the Arabic names according to the official U.S. government-mandated transliteration system, that used by the US-UK Board on Geographic Names. A few days ago, I published an article, Diplomacy and the Iranian nuclear issue. In it, I accused the Iranians of playing a delaying game to buy time for their nuclear weapons program. I mentioned that the last round of talks ended when the two sides could not agree on a subject for the talks. The Iranians refused to agree that the talks were to be about their uranium enrichment program - the only reason for holding the talks. This is typical for the Iranians, and a tactic that has served them well for years. It is only recently that Europe and the United States have begun getting serious about effective sanctions, and those are still months away. Now, Iranian Foreign Minister Ali Akbar Salehi has raised objections to the venue for the talks. They have been scheduled to be in Istanbul for quite some time, but less than ten days before the meetings, the Iranians now have an issue with convening the talks in Turkey. It is understandable that the Iranians are upset with the Turks. Turkey is supporting the opposition in Syria, Iran's closest - and some would say, only - ally. Iran has formally requested Baghdad host the negotiations. Iraq, under the leadership of pro-Iranian Prime Minister Nuri al-Maliki, is drawing closer and closer to Tehran in its political, economic and even military relations. Not surprisingly, the Iraqi foreign minister (my friend Hoshyar Zebari) supports the Iranian proposal. Now there will be a negotiation of where to negotiate. It reminds me of the Paris talks about Vietnam in the late 1960s - the parties spend an inordinate amount of time arguing over the shape of the table. The talks will probably be held in Baghdad, but it remains to be seen what is actually on the agenda. Perhaps at last the Iranians will actually discuss their nuclear program, but I'm not betting on it. They will assert their right to enrich uranium (not in question), deny the existence of a weapons program (there is) and end the talks when the representatives of the five permanent members of the U.N. Security Council plus Germany, the so-called "P5+1," demand further information on the program. Meanwhile, the centrifuges continue to spin. As the United States considers imposing tougher sanctions on Iran over its refusal to adhere to a series of United Nations resolutions about its uranium enrichment program, Secretary of State Hillary Clinton has warned the Iranians that time for a diplomatic solution is fast running out. This is the most succinct warning delivered by the secretary in a long time, and is long overdue. Another round of talks between Iran and the five permanent members of the U.N. Security Council plus Germany, the so-called "P5+1," is scheduled for mid-April in Istanbul. Most Middle East observers, this one included, believe this is just another stalling tactic on the part of the Iranians, much as they have done for the past several years. The last round of talks ended when the two sides could not agree on a subject for the talks. It's bad enough when negotiations fail due to disagreement over the subject being discussed, but when supposed professional diplomats cannot reach an agreement on what subject to discuss, it borders on absurdity. Mrs. Clinton's words: "We're going in with one intention: to resolve the international community's concerns about Iran's nuclear program. Our policy is one of prevention, not containment. We are determined to prevent Iran from obtaining a nuclear weapon. We enter into these talks with a sober perspective about Iran's intentions. It is incumbent upon Iran to demonstrate by its actions that it is a willing partner and to participate in these negotiations with an effort to obtain concrete results." I predict that at the April talks, the Iranians will argue that their enrichment program is not up for discussion, effectively wasting everyone's time except theirs. While they agree to talks and try to give the impression that they truly want a diplomatic solution, the centrifuges keep spinning and they pile up more uranium. The Iranians don't want a diplomatic solution, in fact, they don't want any solution. Wanting a solution would indicate that they believe there is an actual problem. They do not believe their quest for a nuclear weapon is a problem. Their repeated agreements to enter into talks is merely an attempt to delay long enough until they achieve their objective. Am I the only one that gets that? Now let's look at recent remarks on the subject made by former Iranian nuclear negotiator Hossein Musavian, who is now a visiting scholar at Princeton University. 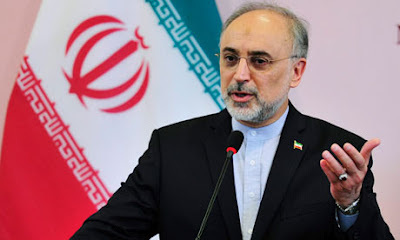 His proposed solution to the Iranian nuclear issue: "As soon as the P5+1 recognize Iran's right to enrich uranium, there will be an opportunity to break the nine-year deadlock over the nuclear program." With a brilliant observation like that, it's hard to believe this guy has a job at a university the caliber of Princeton. Okay, Hossein, let's take this slowly. First, Iran does have the right to enrich uranium. However, it does not have the right to build a nuclear weapon, as long as it remains a signatory of the nuclear Non-Proliferation Treaty. The treaty allows for member states to develop nuclear energy programs as long as they can demonstrate that their nuclear programs are not being used for the development of nuclear weapons. That is what the United Nations is asking of the Iranians - demonstrate that its program is not for the development of nuclear weapons. When Iran does that, the deadlock - and sanctions - are over. The ball is in Iran's court. You see, Hossein, the problem the Iranians have is that they cannot demonstrate that their program is not being used for the development of nuclear weapons. Why not? Simple, because the Iranians are developing a nuclear weapons capability. There is no other explanation for their program. It is much too small for a nuclear energy program, and the necessary infrastructure to support such a huge program has not been seriously considered since the days of the Shah. If Iran were to use every one of its nuclear facilities to generate electricity, it would produce less energy than what Iran's oil wells flare off as waste. Nuclear weapons analysts at the Los Alamos National Labs - the professionals at this sort of thing - have looked at the size of Iran's program and concluded it is exactly the right size for a nuclear weapons program. In reality, it can be nothing else. 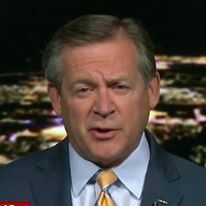 The Iranians know it, the Israelis know it and with a few notable exceptions in the U.S. intelligence community, we know it. The real question for our diplomats is why are we going through this kabuki dance? The Iranians are not going to give up their nuclear weapons program because of a "diplomatic breakthrough" in Istanbul later this month. Diplomacy has failed and will continue to fail. Tougher sanctions will certainly hurt the Iranian people, but will they be effective in slowing the nuclear program? Hard to say. The only sanction that has any chance of working it to prohibit Iran from exporting oil. Do we have the political will to do it? Doubtful. We'll just continue to talk about having talks, probably right up to the point where Israel believes the rest of the world is not committed to solving the crisis and takes action on its own. The Israelis have heard both Secretary Clinton and President Obama say the words that we will not permit Iran to develop a nuclear weapon, but so far, it's all talk. I guess that's called diplomacy.